The Truth About Chilcot. The Inquiry, Who’s Who? The death toll from the horrific recent Iraq bombings has risen over 250. If Blair had not been absolutely determined to attack Iraq on the basis of a knowing lie about WMD, they would be alive now, along with millions of other dead. ISIS would never have taken control of territory in Iraq and Syria. Al Qaeda would never have grown from an organisation of a few hundred to one of tens of thousands. We would not have a completely destabilised Middle East and a massive refugee crisis. A good friend and former jogging partner of Alastair Campbell. Last time I actually spoke to him we were both Ambassadors and on a British frigate moored on the Neva in St Petersburg. Colleagues may have many words to describe Rod Lyne, some of them complimentary, but “open-minded” is not one of them. If the Committee were to feel that the Iraq War was a war crime, then Rod Lyne would be accusing himself. As Ambassador to Moscow he was active in trying to mitigate Russian opposition to the War. He personally outlined to the Russian foreign minister the lies on Iraqi WMD. There was never the slightest private indication that Lyne had any misgivings about the war. From Uzbekistan we always copied Moscow in on our reporting telegrams, for obvious reasons. Lyne responded to my telegrams protesting at the CIA’s use of intelligence from the Uzbek torture chambers, by requesting not to be sent such telegrams. Lawrence Freedman is the most appalling choice of all. The patron saint of “Justified” wars of aggression, and exponent of “Wars of Choice” and “Humanitarian Intervention”. He is 100% parti pris. Very right wing historian whose biography of Churchill focussed on Gilbert’s relish for war and was otherwise dull. (Roy Jenkins’ Churchill biography is infinitely better). Gilbert was not only rabidly pro-Iraq War, he actually saw Blair as Churchill. Although it can easily be argued that George W Bush and Tony Blair face a far lesser challenge than Roosevelt and Churchill did – that the war on terror is not a third world war – they may well, with the passage of time and the opening of the archives, join the ranks of Roosevelt and Churchill. Their societies are too divided today to deliver a calm judgment, and many of their achievements may be in the future: when Iraq has a stable democracy, with al-Qaeda neutralised, and when Israel and the Palestinian Authority are independent democracies, living side by side in constructive economic cooperation. 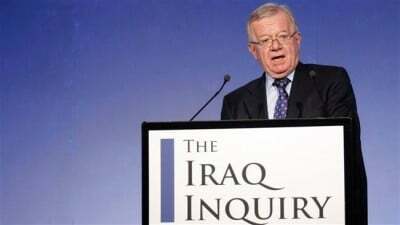 A governor of the FCO institution the Ditchley Foundation – of which the Director is Sir Jeremy Greenstock, the UK Ambassador to the UN who presented the lies about Iraqi WMD and was intimately involved in the lead in to war. So very much another cosy foreign policy insider. So, in short, the committee – all hand-picked by Gordon Brown – could not have been better picked to ensure a whitewash. Over 50% of the British population were against the Iraq War, including for example many scores of distinguished ex-Ambassadors, many military men and many academics. 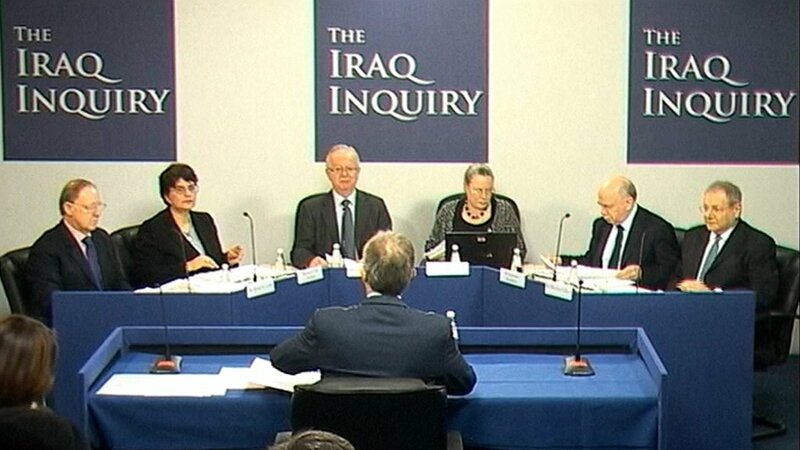 Yet Brown chose nobody on the Inquiry who had been against the Iraq War, while three out of five were active and open supporters of the war. Do not expect to see this truth reflected in any of the mainstream media coverage.